A clumsy nurse who works at a hospital in Planeptune. Neptune and IF are very close friends of hers. 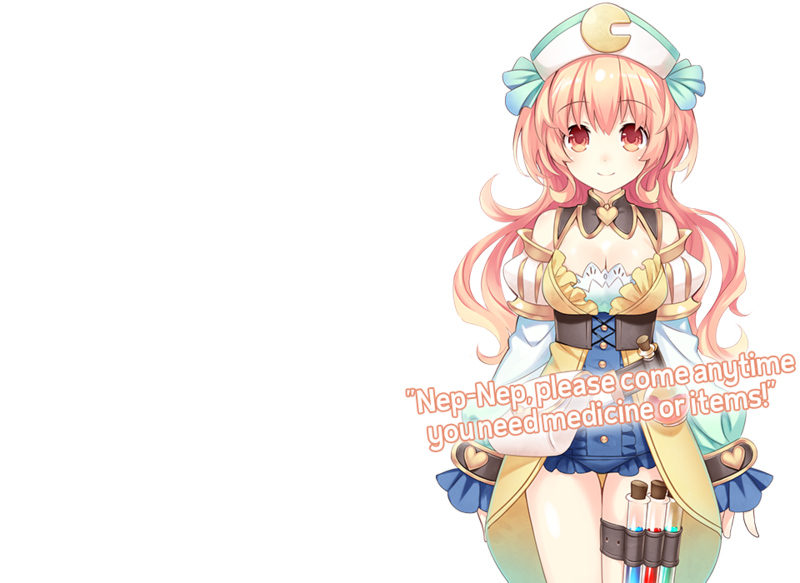 She was the first person to start using the "Nep-Nep" nickname for Neptune, and she goes over to Neptune's place often to cook. She has chosen the Healer class within this game. Together with IF, she collects or synthesizes items, then sells them in their shop for money and EXP. 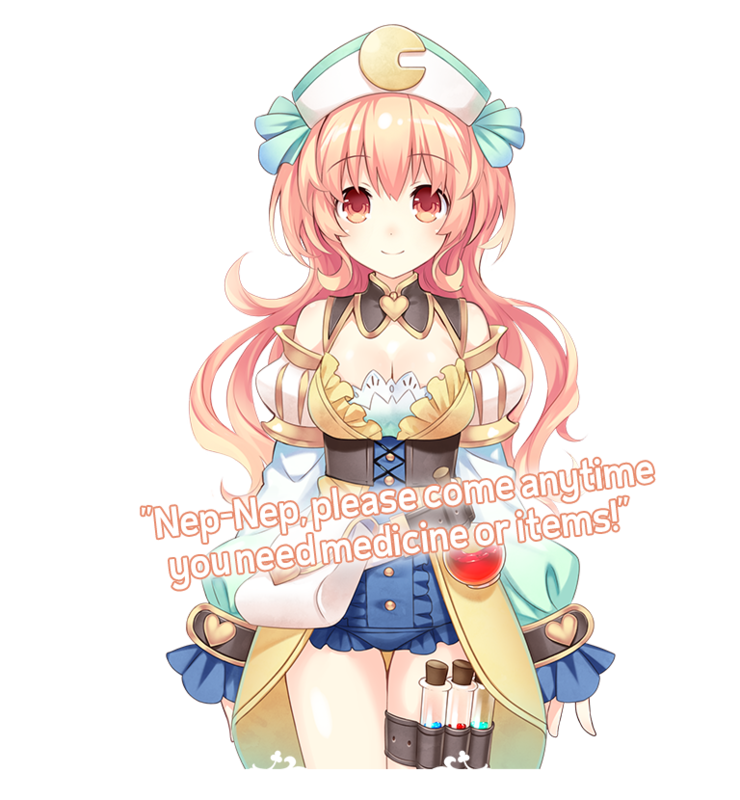 Compa is in charge of recovery items.